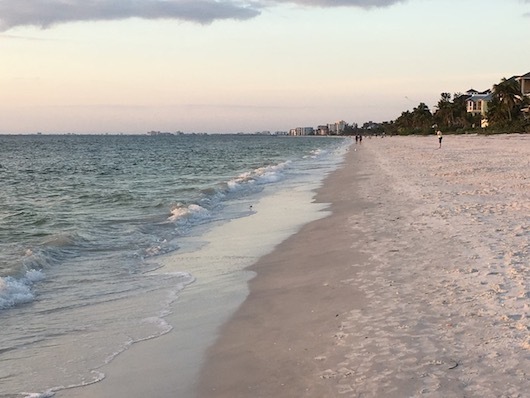 Between Ft. Myers and Naples, Bonita Springs boasts some of the prettiest beaches in Florida, that are also great for running. There are two good options here: Bonita Beach, and adjoining Barefoot Beach/Barefoot Beach Blvd. Doc’s Beach House, next to Bonita Beach Park, is a great spot to grab a post-run drink or bite. Bonita Beach. 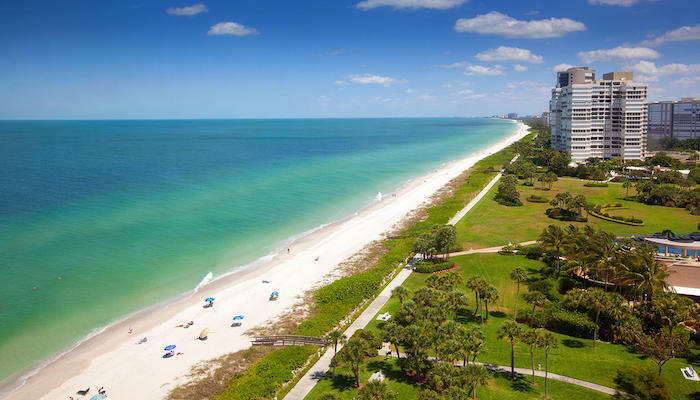 A wonderful beach for running, south of Fort Myers and North of Naples. 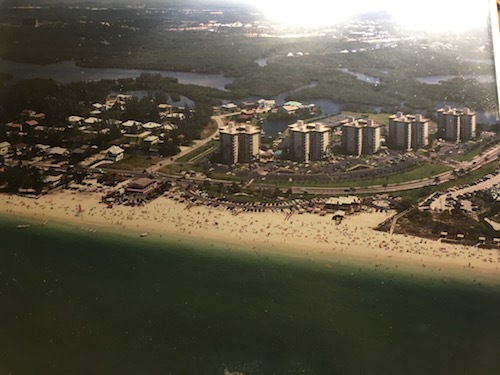 It’s about 2.5 miles from Bonita Beach Park, north to the Bonita Beach Club. Quite flat, and good compact sand for running (can depend on season/storms/tide). There are 9 well-marked access points (#9 is south, #1 is north) off Hickory Blvd. Lining the beach is mostly houses rather than bigger apartment buildings. For variety, one can also run along Hickory Blvd., which has a good sidewalk/path on the eastern side. Not much in the way of water views, though. Barefoot Beach/Barefoot Beach Blvd. A continuation of Bonita Beach for another ~3 miles, but via a gated residential community whose road and beach are open to the public from 8am-sunset. Use either Barefoot Beach Access just past the gate off Barefoot Blvd. 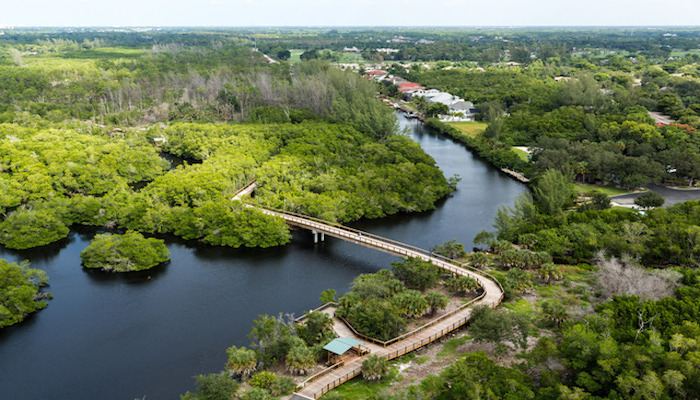 (96 parking spaces, fee), or Barefoot Beach Preserve Park (2 miles further along), which also features a one-mile nature trail, 401 parking spaces, showers, picnic area and a concession. 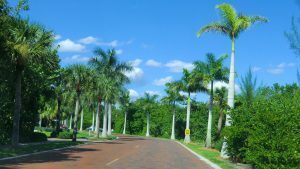 You can also run along red brick Barefoot Beach Blvd., which is nicely landscaped, somewhat shaded, and features gorgeous homes. It is 2.2 miles from the gate to the Preserve. Note: The residential side streets are NOT accessible to the public. Each beach is ~2.5-3 miles, or nearly 6 miles total.